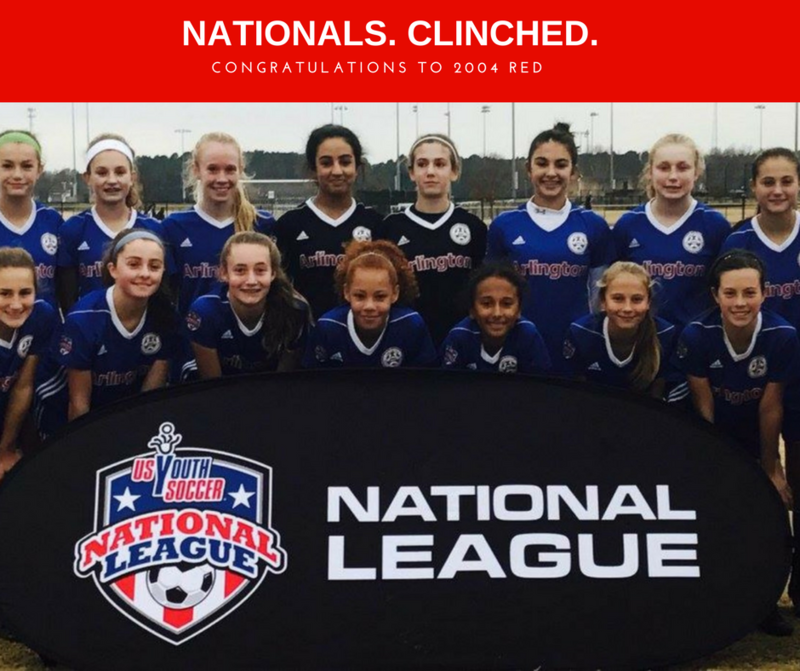 Congratulations to the 2004 Girls Red for clinching a spot in Nationals! This is the first time an Arlington Soccer Association girls team has ever achieved an invitation to this tournament. This is an amazing achievement! Congratulations from all of us at #TeamArlington!